Welcome to another Blog Hops with Heart blog hop! If you started from the beginning you should have come from Amie Kiger’s blog, but if you’ve started here that’s perfect also! 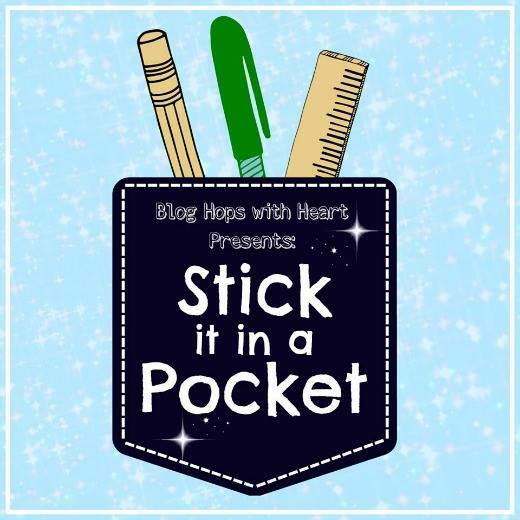 Our blog hop is a circle so just click the link at the bottom of my post to take you to the next blogger and you’ll eventually make your way around the entire hop!! 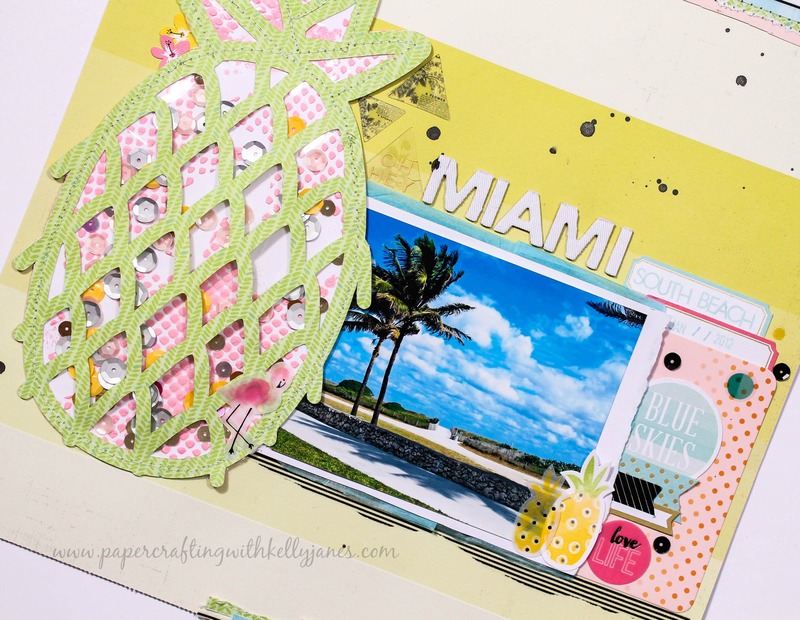 This month we are featuring papercrafting projects that have a pocket! I started by creating my pocket! I cut a solid pineapple, from the Prickly Pineapple Cut File from The Cut Shoppe, on CTMH White Daisy Cardstock & then a second pineapple using patterned paper from the CTMH Calypso Paper Packet. I applied a layer of clear gesso to the white cardstock pineapple. After the gesso was dry, I mixed Whipped Spackle Texture Paste, pink acrylic paint & white acrylic paint. 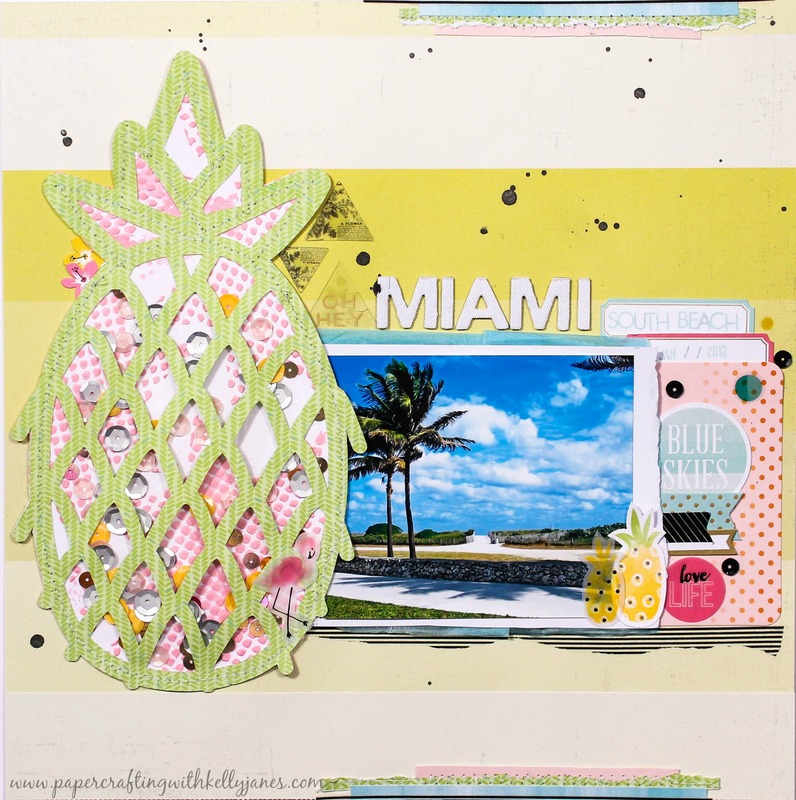 I then used a Dina Wakley Stencil to create a pink textured mixed media background on the white cardstock pineapple. I then layered those 2 pieces of paper together along with a layer of clear packaging (I used the packaging from a 12×12 chipboard embellishment sheet) to create a shaker pocket! I tossed in random sequins from my stash into the shaker pocket and used white machine stitching to seal the shaker closed. Once that was assembled I moved onto the rest of the layout. I’m scrapbooking another photo from our 2012 cruise. I used a yellow pattern paper from Pink Paislee Citrus Bliss Collection as my background paper. 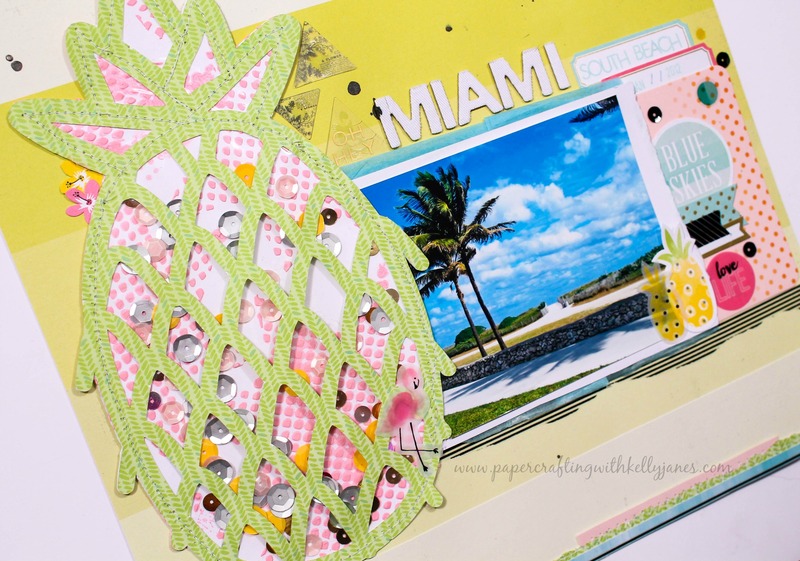 I used multiple embellishments from the Citrus Bliss Collection and the Calypso Collection. I used White Daisy cardstock to back my photo and also some blue tissue paper. My title is from are DIY Thickers from American Crafts that are intended to be inked or sprayed but I like the look of the white so I left them plain. I used a retired CTMH tiny alphabet stamp (Sans Small Caps) & CTMH Glacier Ink for the subtitle. I also added a torn strip of washi, which was something I first saw from Missy Whidden, and is a fun way to add texture to a layout! Once everything was adhered I did add a couple paper strips to the top & bottom of the layout. Those papers were mainly zip strips, left over washi, & scraps from the layout. I also added white machine stitching to those clusters to add a little more texture. I finished the layout off by adding a splatter of Heidi Swapp Black Color Shine & black sequins from the Calypso Collection. Here’s a process video to show how all of this came together!! Now it’s time to head to Becca Whitham’s blog. I saw a sneak peek of her project and it is perfection!! Head there now to check it out!! SUPER clever shaker pineapple!!! Oh that gorgeous stitching always looks fantastic. Love the washi all distressed, the tissue paper idea, and the stamped letters(my goodness, they fit perfectly!) I just adore seeing your layouts come together in the videos you make, Kelly. 🙂 You are definitely doing a great job using your stash! WOW … love your video … So much technique!